Northern pride is at stake in the Bundesliga this Saturday when local rivals SV Werder Bremen and Hamburger SV meet for the first time this season (kick-off 15:30CET/14:30 GMT). 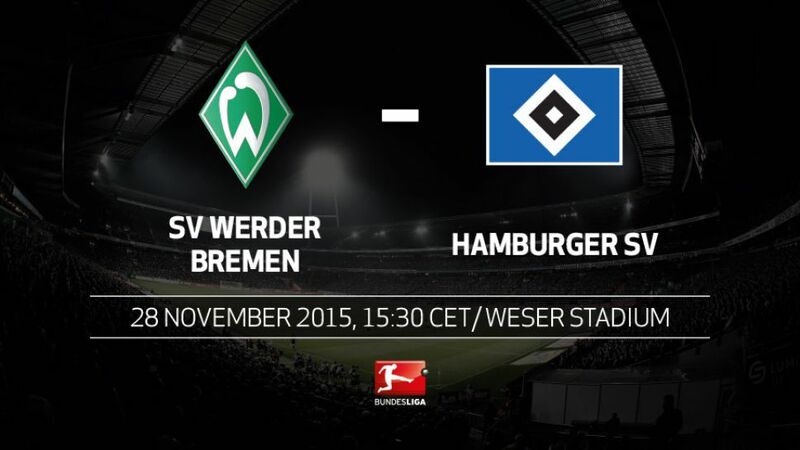 Werder have only picked up six points from their last seven matches.Bremen have been beaten eight times already this season – the last time they had so many defeats after 13 matches was 41 years ago.HSV have already won five games this season – they only won four in the first half of the last two seasons.Bremen have lost their last four home matches, a new club record.Ten of HSV's 18 points have come away from home.Werder and HSV meet for the 103rd time in the Bundesliga, confirming this fixture's status as the most commonly played in the league's history.Bremen are unbeaten in their last eight home games against HSV (seven wins, one draw).Aaron Hunt spent ten seasons at Werder (scoring 46 goals in 215 matches) and could make his comeback from injury at his former stomping ground.Claudio Pizarroand Ivica Olic are the oldest players to have appeared in the Bundesliga this season. Find out how things currently stand for the northern rivals in the league table here.